As the campuses of the University of Education Winneba (UEW) continues to remain shut down, the government has stressed that it is deeply worried over the situation at the institution. The UEW was shut down indefinitely on March 14, 2019, following the third day of student protests. The shutdown was announced by the Central Regional Security Council. During the third of the protest which was against the Vice-Chancellor of UEW decision to dismiss some lecturers, students caused destructions to properties of the school including an SRC bus, with police firing a number of warning shots in the process. Students had accused the Vice-Chancellor, Rev. Fr. Prof. Anthony Afful-Broni of attempting to sabotage the school by sacking some 23 senior lecturers. 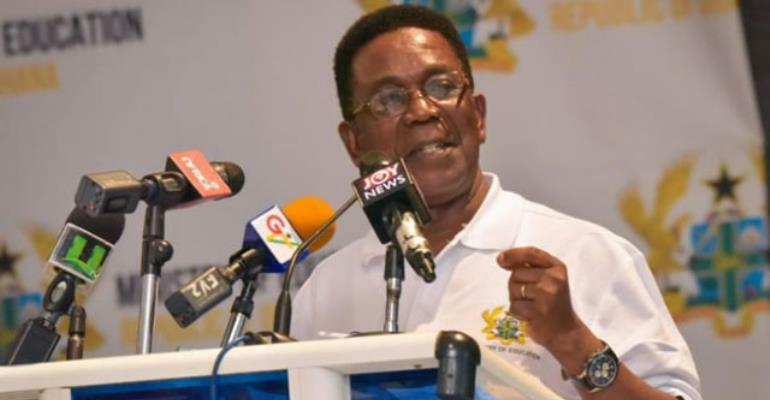 Speaking to journalists on Friday, March 29, 2019, in Accra, Minister of State in-charge of Tertiary Education, Prof. Kwesi Yankah shared that the closure of the school has been a major worry for the Government. He bemoaned the fact that the academic calendar continues to run with the students just sitting in their homes. He noted that the Government would engage the University Teachers Association of Ghana (UTAG) and affected teachers. The Minister, however, failed to state whether the dismissed lecturers who number 23 would be reinstated, noting that the decision rests with the University's Council.